The AIM NetworkEnvironmentAre Australia’s carbon emissions and air quality rankings really surprising? 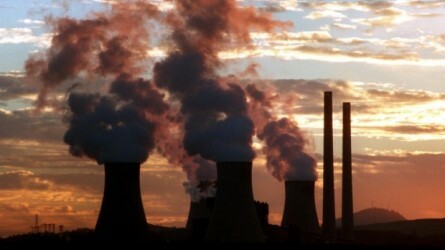 Are Australia’s carbon emissions and air quality rankings really surprising? In the Yale University ‘Global Environmental Performance Index’ (EPI) report published earlier this month, Australia did not rate too well. Ranked 150th out of 180 countries for carbon dioxide emissions per unit of electricity, we were also ranked 123rd in terms of average exposure to Nitrogen dioxide (NO2) – an air quality metric. We did however manage to rank higher in access to sanitation (1st), environmental risk exposure (1st), protection of marine areas (2nd) and access to electricity (3rd). The EPI report measures how close each country is to meeting internationally agreed targets. If a specific target does not exist, it compares countries to each other using quantitative metrics. In addition to being a means of comparative analysis, this report also serves as a diagnostic tool for a country’s areas of strength and weakness, and to show how their performance has changed over time. Major sources of NO2 include fossil fuel combustion and electricity generated by coal-fired power stations and motor vehicles. According to the Australian Climate Council in the electricity sector accounted for 33% of Australia’s greenhouse gas (GHG) emissions in 2014, making it the largest emissions source. The age and inefficiency of Australia’s coal fired power stations mean that Australia is one of the highest emitters of GHG per unit of electricity in the world. On Christmas Eve last year, the Australian Government released a report which showed that GHG emissions from electricity generation had increased since 2014 by 3%, power generation from black coal by 1.4%, and brown coal generation by nearly 10%. Given these figures, our ranking of 150th out of 180 countries should come as no surprise. Motor vehicles are a major contributor to NO2 in urban areas. In Australia, the size of our passenger vehicle fleet has grown 2.1% on average from 2010 -2015. The 2015 Government census reported more than 13.5 million passenger vehicles registered in Australia. If we continue this unsustainable pattern of growth, an audit by Infrastructure Australia predicts that by 2031 traffic congestion could be costing our economy up to $53 billion in terms of the threat to economic growth and living standards. The Infrastructure Australia Audit notes that State and Federal Governments had not implemented any significant action to mitigate the economic and environmental risks of congestion. If the size of the Australian passenger vehicle fleet continues to grow by 2.1% as it has been over the last 5 years, it stands to reason that emissions from those vehicles (including NO2) and personal exposure to those emissions will also increase. The only real way to prevent these is for Governments to show courage and incentivise non fossil fuelled vehicles and increase expenditure on well integrated user friendly public transport (e.g. light rail) and non motorised transport infrastructure (e.g. cycle and walk paths). The other reality Australian Governments must face is that relying on fossil fuelled electricity so heavily is becoming a thing of the past in many countries – developing and developed alike. Governments in other countries are realising the benefits of investing in renewable energy, in terms of their environmental footprint and the signal that such investments send to their private sectors and citizens. In countries such as the United States the private sector makes procurement decisions on the basis of its suppliers’ tracking their greenhouse gas emissions and implement reduction goals. Examples include the Bank of America, AT+T and L’Oreal. Citizens install renewable energy infrastructure (e.g. rooftop solar) at home – a sustainable model that reduces their environmental footprint and their reliance on the electricity grid. As a scientist I am also very interested the health-related costs of increased congestion and accompanying pollutants. Residential areas that were once some distance from major transport routes edge closer to them as the population increases, and it is inevitable that more and more people will be exposed to both passenger and heavy vehicle emissions. With the lack of policy governing this issue, it is not a surprise that Australia was ranked 123rd out of 180 countries in terms of average exposure to NO2. I really struggle to understand how the Australian Government fails to see and/or address that urgent actions are required with respect to carbon emissions and air quality. Even if I wasn’t a scientist and there were no common sources between the two, I would still wonder how many more international comparisons are required for our policy makers to realise that there has been enough talk and the time for action is now. Given that there are common sources between carbon emissions and air quality, and numerous international comparisons have shown the Australian Government performance in this space has worsened rather than improved, I do not find Australia’s poor carbon emissions and air quality rankings in the 2016 Yale Environmental Performance Index surprising. About the author: Anthony Horton holds a PhD in Environmental Science, a Bachelor of Environmental Science with Honours and a Diploma of Carbon Management. He has a track record of delivering customised solutions in Academia, Government, the Mining Industry and Consulting based on the latest wisdom and his scientific background and experience in Climate/Atmospheric Science and Air Quality. Anthony’s work has been published in internationally recognised scientific journals and presented at international and national conferences, and he is currently on the Editorial Board of the Journal Nature Environment and Pollution Technology. Anthony also blogs on his own site, The Climate Change Guy. So how come our Environment Minister Hunt won Best Minister in the World award – with such dismal results. Yes I know, its just a pretend award. Even the title is preposterous and meaningless. I think it is time to tax four wheel drive vehicles registered in cities and stop cars being randomly tax deductable. If the car is needed for work then it gets parked at work overnight. If the job does not require tools then only small cars can be claimed on expenses. Non working wives do not need four wheel drives. Sadly, not enough scientists go into politics. Instead we get lawyers who believe they can argue an incorrect point and still win. Well, it’s carbon particulates pollution (soot) that is killing 8 million people annually. I’m not sure how dangerous NO2 is, but the death toll from CO2 emissions is, of course, zero. I would think that coal fired power, where it replaces the burning of domestic fuel for cooking, heating, etc, reduces the exposure of populations to health risks. In Europe, successive governments have recklessly imposed regulations and tax arrangements that have encouraged greater use of diesel as a transport fuel. While slightly reducing CO2 emissions (the objective of this crazy policy), this has resulted in dangerous levels of particulate pollution in European cities. I believe the average diesel fuelled car produces 18 times the amount of ultrafine carbon particles as a petrol fuelled car. The United States, whose citizens are protected by clean air legislation, has avoided European style destruction of its urban air quality (and, curiously to me, has experienced none of Europe’s warming of recent years), despite the criminal efforts of Volkswagen and the like to cheat the testing regime. In Australia, I’m not so sure. Certainly, on highways and urban thoroughfares I maintain the Recirculation control on and keep all windows wound up. ….and to think we had a price on carbon pollution and the LNP removed it by labeling it a carbon tax. I am a pensioner and was happy to pay $5 every electricity bill knowing that pollution in Australia was coming down, unfortunately the LNP didn’t like their corporate mates having to pay for the pollution that they created, in fact the LNP doesn’t want their corporate mates to have any expenses http://www.abc.net.au/news/2015-12-17/almost-600-companies-did-not-pay-tax-in-2013-14/7036324 it seems the LNP have been very slow to recover “our” money in these instances also where 579 corporate tax bludgers paid nothing and hundreds of others paid very little indeed. That 8 million people are dying annually is not acceptable and our situation has worsened over the past 3 years. We need to oust these cruel vicious LNP people from the government of this great country and get back to a bit of common sense for ‘all’ Australians. Er, Shaun, the tax on CO2 emissions neither reduces carbon particulate pollution nor the annual death toll from that pollution. Where governments in Europe have taxed CO2, diesel fuel consumption and consequent carbon particulate pollution have increased. In fact, as the report notes, Paris air pollution ratings are now worse than Beijing and Delhi.